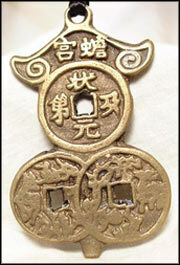 Feng Shui or "Wind and Water" is the ancient Chinese Art Of Placement. It is based on the understanding of the flow of energy (Ch'i) throughout ones inner and outer life. The tradition of Feng Shui believes the way a home is decorated and designed affects the fortune of the people living in it. Feng Shui, the art of creating/finding harmony in your surroundings, can be applied to your home, office or apartment. In Feng Shui if you want to create a new future for yourself, then first you must clear out the clutter in order to make space for new possibilities and opportunities to enter into your life. Clutter can have a significant effect on us by impeding the smooth flow of ch'i around the home, thus reducing the chances of progressing through life with ease and comfort. Things that you want to keep should be useful, stored tidily, and be easily accessible. The outdoors surrounding your home is also important. This includes items like fencing, fountains, decks and patio furniture. If you're looking to buy Patio furniture, try finding it online. Remember that if you surround yourself with things that you want and love, your energy will increase every time you see them.